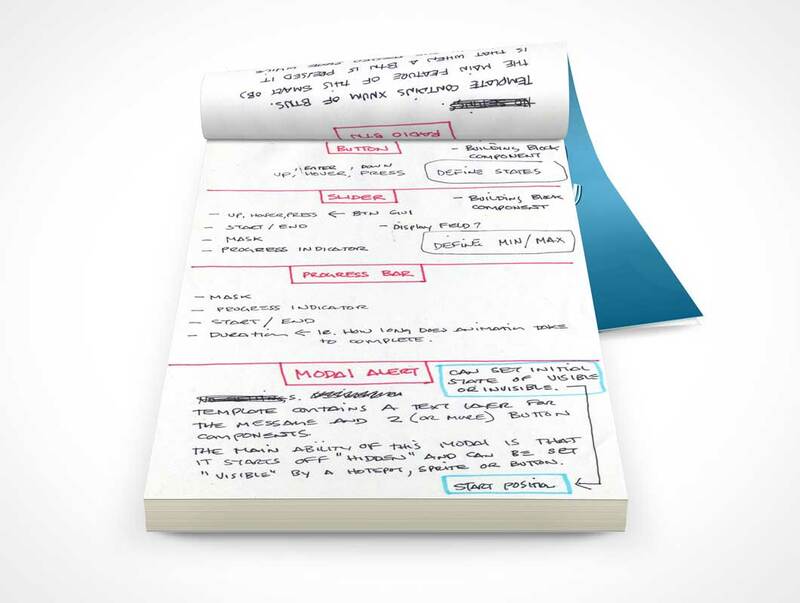 NOTEPAD006 is an open notepad mockup for rendering product mockups of your notepad designs. This PSD mockup will render your notepad design or sketches onto an open notepad in portrait position laying on a flat surface with the first few pages tucked under the backside of the notepad. The mockup is rendered facing directly at the viewer with a top down viewing angle of 30°. Once your design is rendered, use the layer effects to adjust the brightness or darkness of lighting and shadow sources to best suit your needs.